For decades China’s industrial economy grew at a breakneck pace thanks to heavy investment from the state. This expansive age may be at an end, however. Over the last few years, demand for Chinese goods has dropped and its stock market has become increasingly unpredictable. 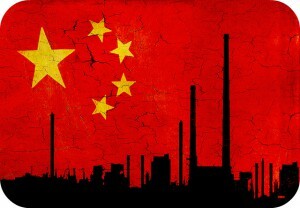 Analysts say that China built up far too much manufacturing infrastructure that has now become an excessive drain on resources. As a result, last week the Chinese government announced the drastic measures it would take to combat the problem. According to China’s minister for human resources, the nation will lay off approximately 1.8 million coal and steel workers. And that’s just the official number coming from the state. Anonymous sources interviewed by Reuters claim that as many as five to six million state workers across an array of industries could get sacked. While China hasn’t put a timeframe in place for the redundancies, the state has allocated $23 billion to cover severance and resettlement costs. That tidy sum is expected to increase as layoffs spread to other industries suffering from too much supply. For now, China’s top priority is to clamp down on so-called “zombie firms,” or companies that have basically ceased operations but still employ workers on state payrolls. Shuttering these businesses and shrinking once-thriving industries are key elements of the government’s economic restructuring program. After all, China once relied on exporting its massive industrial output to fuel growth. With global demand diminishing, though, the Chinese government is hoping that domestic consumers will become the primary market for companies. On the other hand, in order to afford goods those people will need jobs, which is something that millions will soon lack. China’s growing middle class could begin to slump as factory shutdowns and layoffs cause the nation to develop a Rust Belt of its own. Then again, this isn’t the first time the Chinese government has initiated a nationwide restructuring. From 1998 to 2003 China spent more than $11 billion restructuring state-owned companies, leading to as many as 28 million redundancies. That set the stage for years of double-digit growth, but only time will tell if the country can pull it off again. How will China’s economic restructuring affect its growing middle class? What are the advantages and disadvantages of a state-driven economy like China? Source: Benjamin Kang Lim, Matthew Miller And David Stanway, “Exclusive: China To Lay Off Five To Six Million Workers, Earmarks At Least $23 Billion,” Reuters, March 1, 2016; Matt Phillips, “China Just Announced One Of The Largest Single Layoffs In History,” Quartz, February 29, 2016.